Allan Parkinson had a dream. Thanks to Sleep-Eze, he made a ton of money selling over the counter insomnia medication and opened both the now demolished Movieland Wax Museum (soon to be a Butterfly Pavillion) and Japanese Village and Deer Park in Buena Park, CA. Orange County was blooming with the smog of suburbia and Mickey Mouse's shadow loomed over the yet-developed farmland. Second-rate attractions popped up, vying for the crumbs of Disney tourist dollars and the wallets of families who didn't want to sit in traffic to see real culture in Los Angeles. Nothing has changed in that regard, but at least we knocked it off with the poorly run animal themed attractions. In May of 1967, just seven years after The Buffalo Ranch closed in Costa Mesa, Parkinson opened the Japanese Deer Park near the 5 Fwy off Knott Ave. and Artesia Blvd. Based on Nara Park in Japan, the 5-acre park showed off traditional Japanese garden architecture, over 200 sika and fallow deer to pet and feed, as well as classy animal shows like basketball-playing Hokkaido bears, ping-pong playing chickens and smoking, poker-playing carp. The Deer Park was heavily advertised and enjoyed brief success. In 1970, Allan Parkinson sold his properties to Six Flags for a modest $10 million. Maybe it was the public's fading interest, the copycat Japanese deer park that opened at Sea World in 1971, or the poor management of Six Flags that caused the Deer Park to run into trouble. Due to “continued unprofitability,” roughly a $7.5 million loss, Ned DeWitt, president of Six Flags, closed the Deer Park on December 2, 1974. After just 8 days of trying to re-home the “highly unsalable” flock of 340 deer, 220 of them tested positive for tuberculosis. On December 10th, 177 deer were euthanized. DeWitt and their veterinarian claimed it's what the health department wanted, however the Orange County Health Department said they did not know about the situation until after the deer were killed and that it was unnecessary because the TB the deer had was not transmittable to humans and most deer recover from it. Legend has it, the murdered deer now star in Korean zombie movies. That last part isn't true. Rightfully so, there was public outrage, thousands of phone calls, and even the mayor of Buena Park, Stanley Meyer, called it an “apalling, abominable situation,” suggesting Six Flags did it so they wouldn't have to pay for the care of the animals while trying to sell them. The day after the killing, it was publicly revealed that Lion Country Safari had offered to buy the animals shortly after Japanese Deer Park's closure but their offer was never answered. They still wanted to purchase the TB-free deer, orangutans, fish and bears. Even Ralph Clark, director of the county Board of Supervisors, offered to put the TB-free deer in O'Neill and Irvine Parks. In the end, Six Flags made a good PR move by donating all of the remaining deer and $50,000 in research grants to UC Davis' school of veterinary medicine so they could study tuberculosis in deer. Around the time of park closing, there were also reports of a tiger mauling a guard, supposedly due to hunger, although I cannot verify this beyond a 1990 LA Times article and a recent KCET report. During Six Flags' ownership of the Deer Park, an episode of the hit 60's and 70's detective show Mannix was filmed at the deer park. Watch the video below for a high quality color tour of the deer park starting at 41:00. Just six months after the deer moved north, Joseph Prevratil, bought the 32-acre site and announced it would be transformed into Enchanted Village. Prevratil was a manager of the Deer Park when it first opened and later became vice president of Six Flags, quitting months before his purchase. His tropical Eden-themed attraction would have “scenes” around the park, and the “happenings, of which there will be 40, range from a pretty girl strumming a guitar while a huge lion or tiger lolls at her feet to a man covered with friendly tarantulas to another pretty girl entangled in the coils of a 75-pound python.” One feature attraction was Oliver the “Humanzee,” a chimpanzee who smoked and drank whiskey. After endless advertisement, Enchanted Village opened June 18, 1976 with an estimated opening weekend of 10,000 visitors. His success was very brief. By February 1977, Prevratil announced the Village would only be open on weekends. In April, Home Federal Savings and Loan of San Diego threatened foreclosure for nonpayment on a $2.9 million loan and the park closed October 4, 1977. Most animals of Enchanted Village have a happier ending than their predecessors. Their trainer, Ralph Helfer, opened a private school in Colton, CA, which moved around and ended up at Lion Country Safari. Oliver, however, became a lab animal at Berkshire Corp. Today, the site is a large industrial complex with an adjacent small park. Nearby was the California Alligator Farm. Originally opened next to the Ostrich Farm in Lincoln Heights in 1907, the farm moved to Buena Park in 1953. It sat across from Knott's Berry Farm, closed in 1984, and is currently the site of Knott's overflow parking behind a Claim Jumper. The last owner of the Alligator Farm, Ken Earnest, became the head curator of the super mega-cool (that's my real review, folks!) Reptile Gardens in South Dakota. Surprisingly, there are no major headlines of tragedy at the Alligator Farm beyond trainers getting bit by various animals, but that isn't surprising. 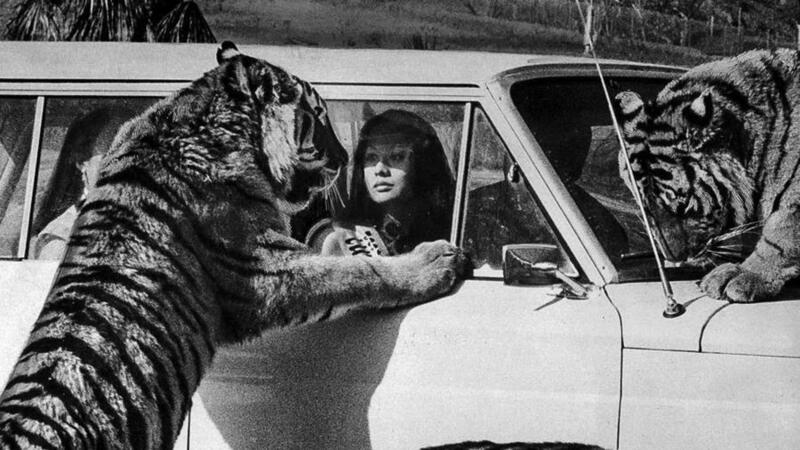 Not to be outdone, Lion Country Safari in Irvine was a drive-thru safari park with free roaming wild animals. What can go wrong? It opened in 1970 with an older sister-site in Palm Beach, Florida. The star of the Irvine park was an elderly, toothless Mexican circus lion named Frasier the Sensuous Lion. Jazz singer Sara Vaughan sang “Frasier the Sensuous Lion” in a feature film about him. Frasier was a stud and fathered 35 cubs before dying of pneumonia a few years later. Frasier's sad, yet virile Mexican lion life is just a snack in the Lion Country Safari Saga. 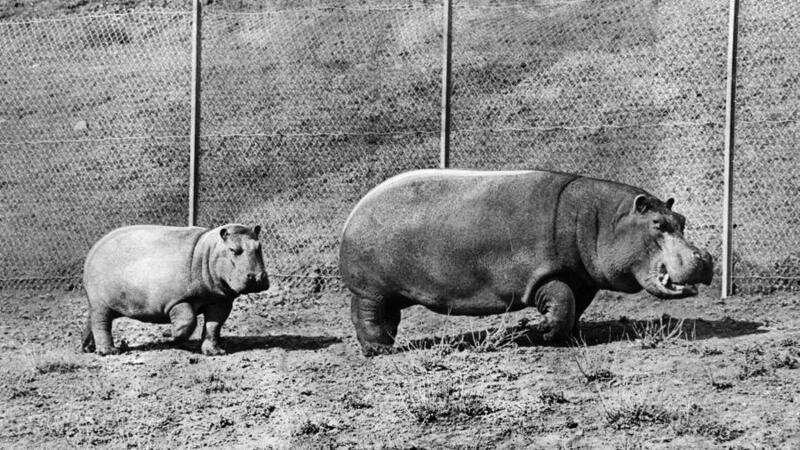 In 1978, Bubbles the Hippo escaped and found a marsh to hide in. Not long after her escape, she emerged from the marsh and was hit by a tranquilizer dart. She collapsed and was accosted by three rangers. Bubbles came to and ran back to her hideout. For 19 days, helicopters, police, news reporters and crowds of people flocked to Bubbles' new marsh. At the end of her standoff, in the dark of night, Bubbles tried to leave again. She was hit by two tranquilizers and fell to the ground. A veterinarian gave a shot of a calming drug. The rangers approached Bubbles. She was not breathing and they covered her with a blanket. Bubbles' autopsy revealed that she had been pregnant. Bubbles' remains are now located at the Natural History Museum of LA. She is not on display. She is number 54113. Her tag reads: “Female (died with fetus). Born in captivity. California, Orange County, Laguna Hills, Lion Country Safari, Inc. Died 11 March 1978.” The marsh Bubbles last called home is just west of Barbara's Lake; it was renamed Bubbles' Pond and has since dried up. 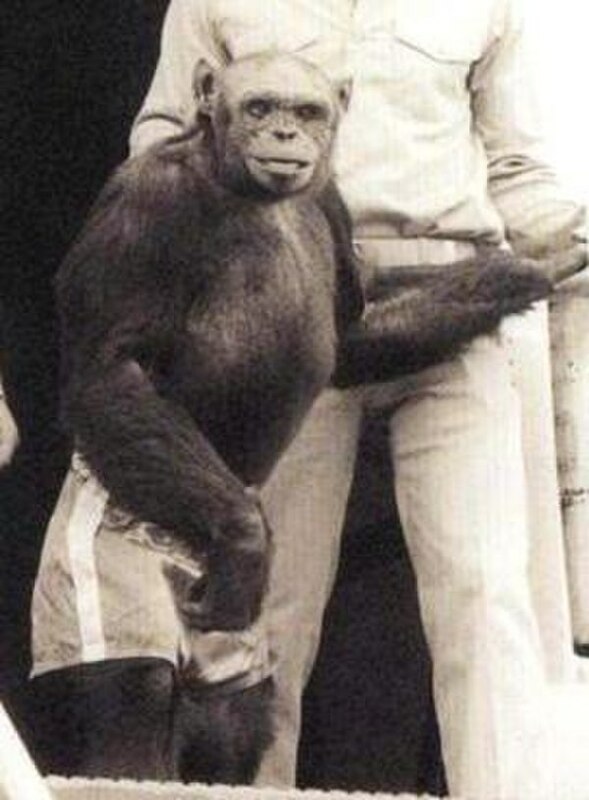 In 1982, two-year-old Anthony Stopani came to the park with his family. While waiting for the Jungle Fantasy Show in the grandstands, a Siberian tiger escaped, grabbed Anthony Stopani by his tiny toddler head and ran to the bushes. The boy lived, but not without suffering critical injury and paralysis. He was awarded $20 million in a 1985 settlement. 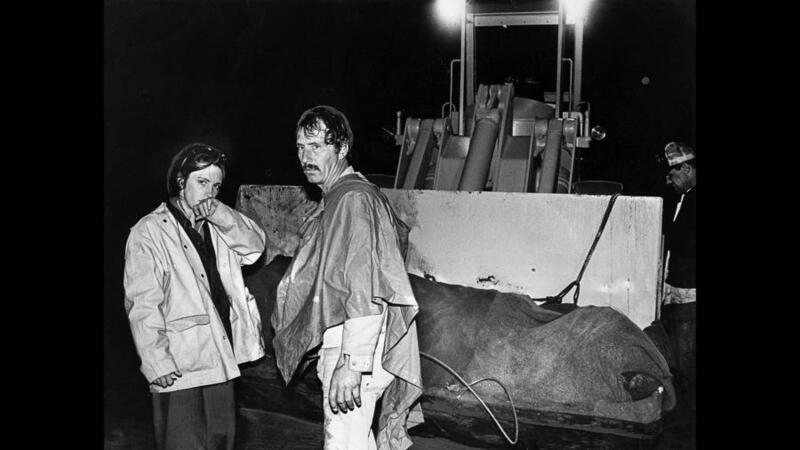 In 1983, Lee Keaton, the chief zoologist, was crushed to death by Misty the Asian Elephant when she broke free from her chained tether. After killing Lee Keaton, the elephant escaped into the hills and was caught after a three-hour pursuit. Lion Country Safari was cleared by the courts in Lee Keaton's widow's wrongful death suit. You can listen to three hours of police scanner broadcast as they hunt down Misty here. You can also see Misty in the Enchanted Village gallery above. ; she spent much of her career giving rides. In 2016, Misty died in a Tennessee elephant sanctuary. You can also see Misty in the Enchanted Village gallery above. Lion Country Safari's attendance plummeted and the Stopani settlement was the final blow. It closed in 1984. The property is home of the Irvine Meadows Amphitheater and was Wild Rivers Water Park from 1986 to 2011 until they lost their lease to the dastardly Irvine Co. However, exciting news, on April 25, 2017, the mighty Irvine City Council decreed that we will once again be blessed with a waterpark better than Soak City again in Summer 2019.